Avenatti, who briefly considered a bid for the 2020 Democratic presidential nomination, also was charged with wire fraud and bank fraud in a separate case out of California. He was taken into custody at a law firm where he had gone to meet with Nike executives. The 48-year-old appeared Monday evening in Manhattan federal court, where a magistrate judge ordered his release on $300,000 bond. He did not enter a plea. Outside the courthouse, Avenatti thanked federal agents for their "professionalism and courtesy" before predicting that he would be cleared of the charges. 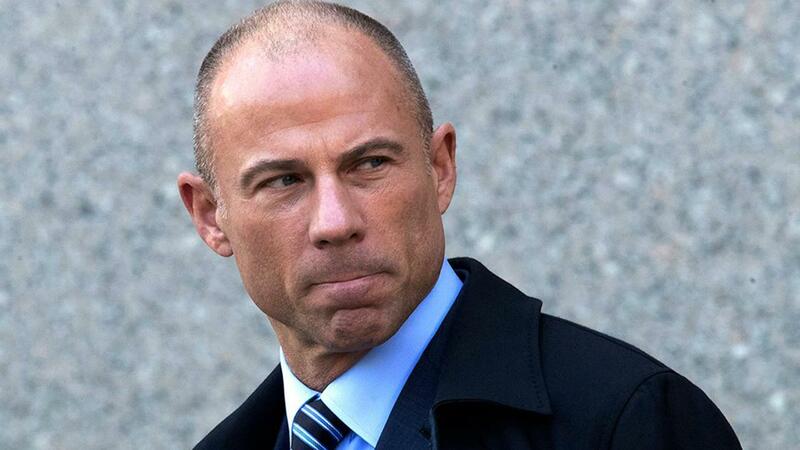 "As all of you know," Avenatti told reporters, "for the entirety of my career, I have fought against the powerful; powerful people and powerful corporations. I will never stop fighting that good fight. I am highly confident that when all of the evidence is laid bare in connection with these cases, when it is all known, when due process occurs, that I will be fully exonerated and justice will be done." Prosecutors have charged Stormy Daniels' former attorney Michael Avenatti with extortion and bank and wire fraud; analysis from Alan Dershowitz, Harvard law professor emeritus. He allegedly told the attorneys that if his demands were not met, he would "go take ten billion dollars off your client&apos;s market cap ... I&apos;m not f---ing around." The complaint said Avenatti threatened to hold a news conference on the eve of Nike&apos;s quarterly earnings call and the start of the NCAA tournament to announce allegations of misconduct by Nike employees. Meanwhile, the alleged client was identified as a coach for an amateur athletic union men&apos;s basketball program based in California. 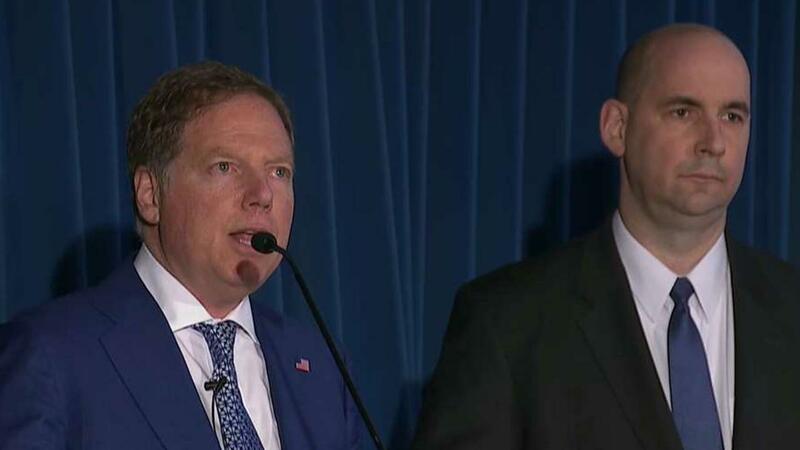 Meanwhile, at a separate news conference in California, federal investigators announced additional criminal charges against the lawyer for a separate matter. 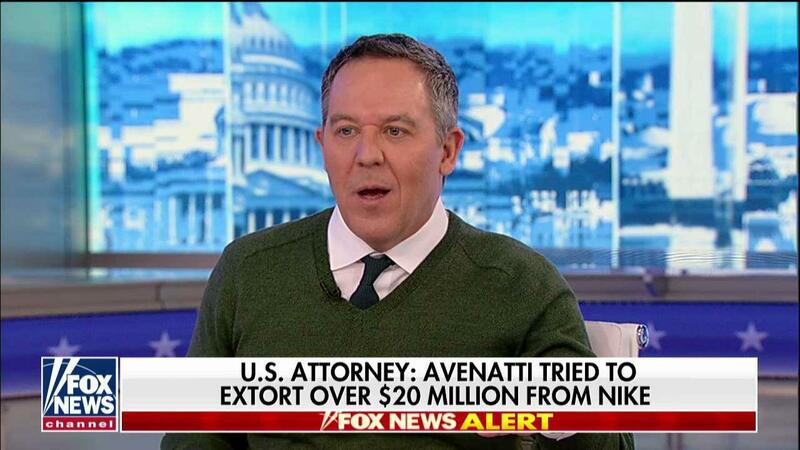 In that case, Avenatti was accused of embezzling a client&apos;s settlement money to pay his own expenses and debts — as well as those of his coffee business and law firm. Daniels released a statement Monday saying she was not "shocked" by the charges against Avenatti. "Knowing what I know now about Michael Avenatti, I am saddened but not shocked by news reports that he has been criminally charged today," Daniels said. "I made the decision more than a month ago to terminate Michael&apos;s services after discovering that he had dealt with me extremely dishonestly and there will be more announcements to come." Charles Harder, who represented President Trump in the Daniels case, told Fox News that Avenatti&apos;s arrest marked "a great day for the American justice system." Before Avenatti started representing Daniels in February 2018, he was virtually unknown outside of the California legal community. However, in a matter of months, he had become known as a no-holds-barred lawyer with a media style -- and a penchant for tweeting -- similar to Trump&apos;s.
On Monday, Berman emphatically denied that politics played any role in the case, noting that investigators "received the call six days ago by the victim saying that three was extortionist threats made against them and that&apos;s how we became involved in this case. "We could have arrested him last week," the official told Fox News, adding that officials wanted the charges in both cases unsealed at the same time and wanted to ensure that Avenatti&apos;s arrest went smoothly. Both cases against Avenatti were overseen by the office of Deputy Attorney General Rod Rosenstein. Justice Department officials tell Fox News that Principal Associate Deputy Attorney General Ed O’Callaghan, Rosenstein’s right-hand man, was involved in "significant coordination" on the Avenatti matter over the weekend while also playing a part in Attorney General William Barr&apos;s letter to Congress summarizing the findings of Special Counsel Robert Mueller&apos;s investigation. The officials added that Barr was also aware of the Avenatti case as it developed. Avenatti briefly mulled a 2020 presidential run as a Democrat -- he even visited Iowa at one point -- but ultimately ruled that out. He also was involved in another high-profile case, representing dozens of parents whose children were separated from them at the U.S. border as a result of the Trump administration&apos;s immigration policies. More recently, he&apos;s been representing women who said they were sexually abused by R&B star R. Kelly. Fox News&apos; Jake Gibson, Lee Ross, Marta Dhanis and The Associated Press contributed to this report.